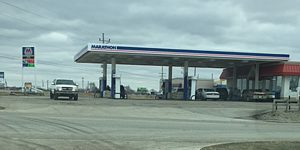 WARSAW — An incident at the Marathon Station on U.S. 30 east of Warsaw created a social media frenzy, but an employee at the station is saying that rumors of a robbery are untrue. “There was no robbery here and that is not open for discussion,” said an employee of the convenience store located at 2535 US 30. According to dispatchers at the Kosciusko County Sheriff’s Department, all available units from the county, Warsaw city and Winona Lake responded to a call at 12:12 p.m. but were unable to reveal the nature of the call. Further updates will be posted as more information becomes available.